Preston Booker, has joined the organization as Senior Vice President of Sales. Stri Zulch, has joined as Vice President of Marketing. 5th Propylene Trade & Derivatives Markets opens in Singapore on 2-3 Dec, 2013 to discuss major trends in propylene and derivatives market - impact of shale gas on propylene production, demand & supply gap in propylene, payoffs from on-purpose production methods and forecasts for derivatives sector. Solar Energy USA, Georgia's premier provider of home solar panel installations, is proud to offer free solar powered electric vehicle (EV) charging at their corporate office in Alpharetta, GA.
Zeversolar, has partnered with PROINSO, a leading global distributor of solar equipment, to introduce new inverters to selected global markets. 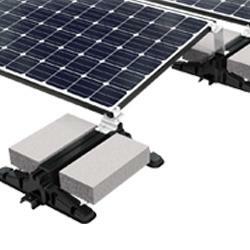 From October 2013 on PROINSO will distribute Zeversolars inverter-line. Greenshine New Energy will attend SPI 2013, McCormick Place, Chicago, from OCtober 22 to October 24. As a part of the city of lights efforts to reduce its carbon emission, 42,000 LED street lights have been installed all over the city. The replacement of traditional street lights to LED street lights will allow the city to save $2 million per year. Last week, Total and Etrion Corporation announced the launch of Project Salvador, with the construction of the largest "merchant" type's solar plant in the world, that is to say, selling electricity on the spot market. In addition to better performance, the reduced weight and modular design of a PCB stator significantly lowers the expected operations and maintenance costs for a BWP generator while driving increased energy production.